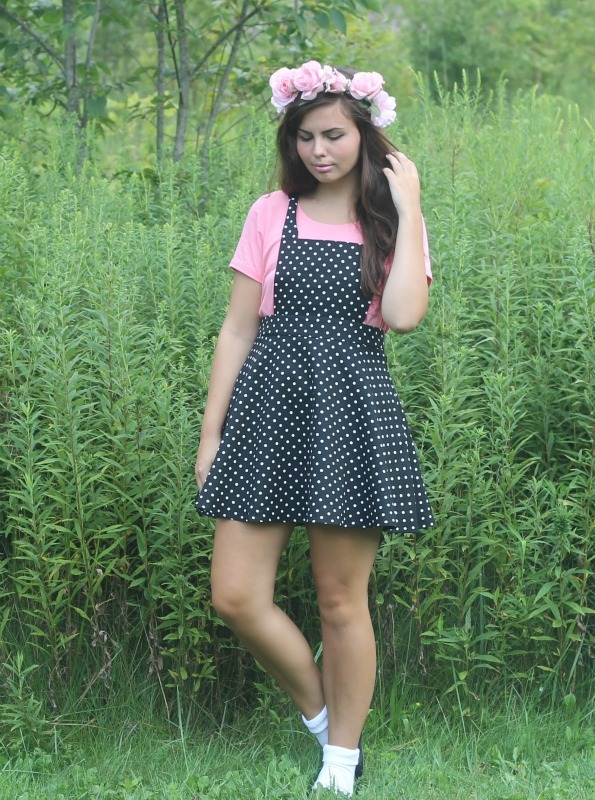 Pink T, Polka Dot Pinafore: Forever21. I've found summer to always be somewhat of an unhappy time for me. Although it's a beautiful season with as much freedom as a human could ask for, there's forever been a strong disappointment that comes with summer for me. I hype myself up too much for it to be incredible and to get so much done. I plan adventures and day trips. Ice cream runs in the evenings and relaxing days at the pool soaking in the sun. But at the end of each summer, I am left with this empty feeling that three months were wasted. I may have gone to get ice cream once. It was never nice enough to go to the pool. I worked too much to take any day trips, and I had no one to go on adventures with. I get upset that I had this beautiful opportunity to live life and do what I wanted--just to sleep into 12 every day and mope around. I sometimes wonder if my summer will ever be what I want it to be. An ideal, satisfying, array of inspiration mixed with relaxation. Perhaps someday when it's too late and I work year around I'll sit out on my front porch (overlooking a city landscape or the quiet of nature I'm unsure yet), and let a few tears slide down my face in remembrance of my wasted youth days of summer. Though I am greatly looking forward to going back to Kent! Two weeks from today. I have actually been very scared and worrisome up until now. Just my usual of not enjoying being in between two places, two worlds. I remember last summer the two weeks before I left for college were excruciatingly tough on me in worry, anticipation, and disappointment. I thought a lot of it had to do with my fresh break up at the time, but I've found that with every big transition in my life the two weeks before I usually am a very unhappy mix of emotions. P.S. 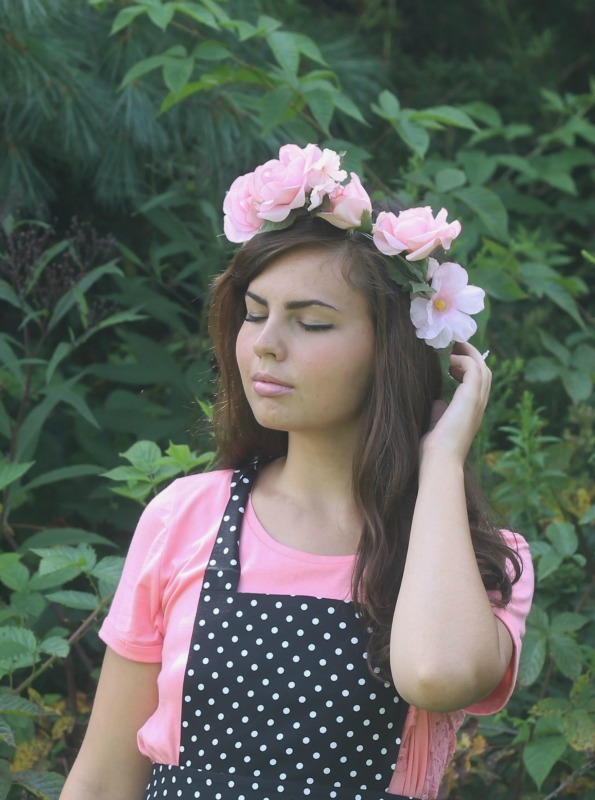 I am so honored to have been made TeenNick's top ten back to school blogs! So, so exciting. 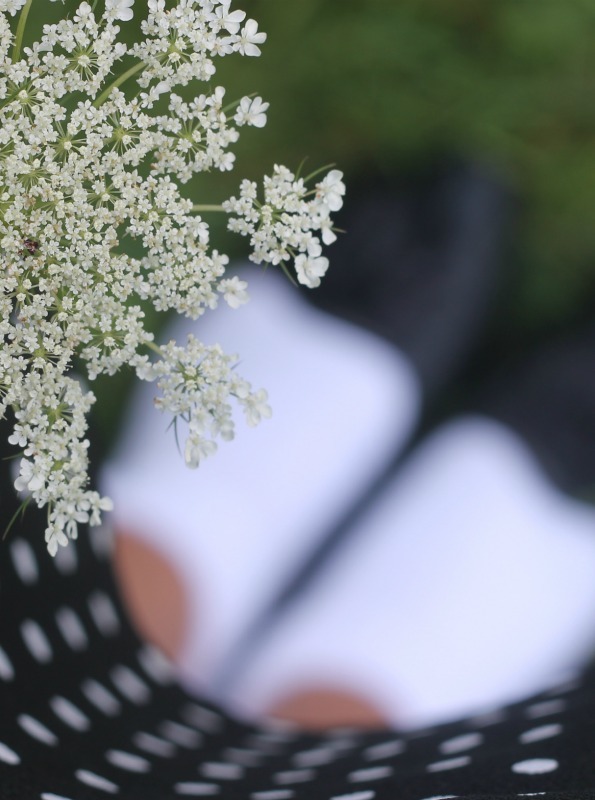 I was also featured by Your Next Dress.com as their #1 out of 10 for best July bloggers! Check out the features if you'd like here and here. The weather has been odd this year and I share your no pool regrets. It goes by so fast the summer. As for your outfit, so lovely. That first picture especially was just...WOW is the word that comes to mind dear :) Such a gorgeous and sweet lady. 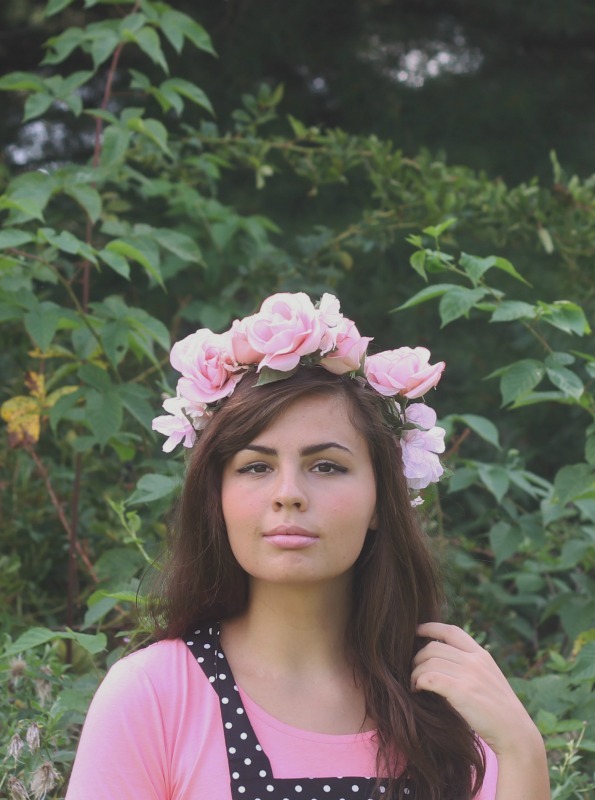 And floral crowns I always adore. I love summer, but I often feel the same way, that I've wasted my summer being completely unproductive. I feel like only two weeks of my summer were really worthwhile. There's just so much more adventure during the rest of the year for me. I've been going through the same thing kind of. I didn't really anticipate being nervous for Sophomore year, but I kind of am. I'm excited as well, but it's hard for me not to worry. I'm trying to lean on Christ! Your outfit is precious! I just adore your style. I feel exactly the same way about summer. It's pretty much always a disappointment once I reach the end. I'm always sad it's over and that it went by so quickly without much to show for it. Once you get back in the swing of things you'll feel better! I hope I do too! 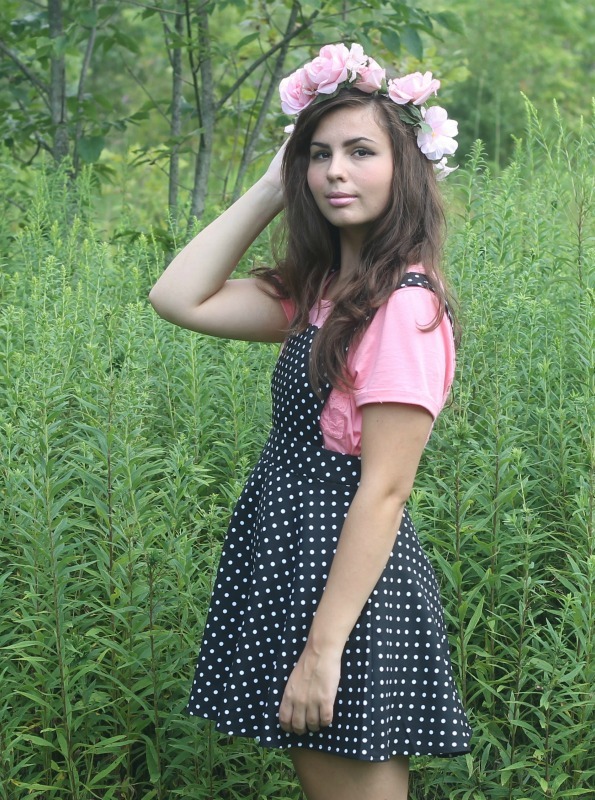 Anyway, this pinafore is the cutest ever! I seriously wish I had one just like it. The pink shirt is perfect with it. Adorable, as always! Don't worry, nothing is perfect. Just enjoy every little thing and be grateful to God. It's something that I am still learning, too. God bless You! Ah, I totally understand. I have this idealistic to-list including making song covers, haning out with the graduated seniors, doing something life-changing...but I always end up only half completing them. It's good that we desire to live life fully; it's a start. But I feel you when you say you can never really quench that craving and end up just feeling dissatisfied with your summer. But you have an awesome year at Kent ahead of you, girl! Once we get back into the swing of school, things will be fine. And like you said, God will always be there for us even if no one else is. He'll make sure we're just fine. P.S. 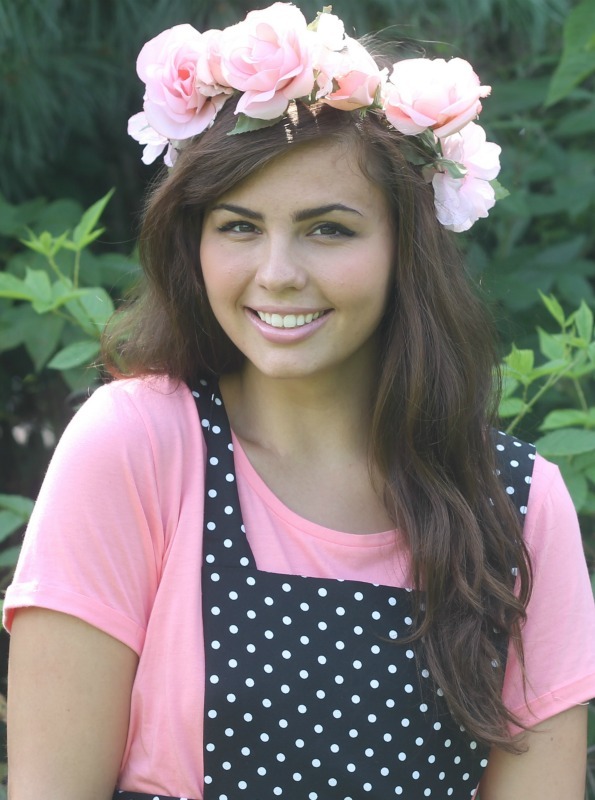 Congrats on the features and gorgeous flower crown!! Have a beautiful week! 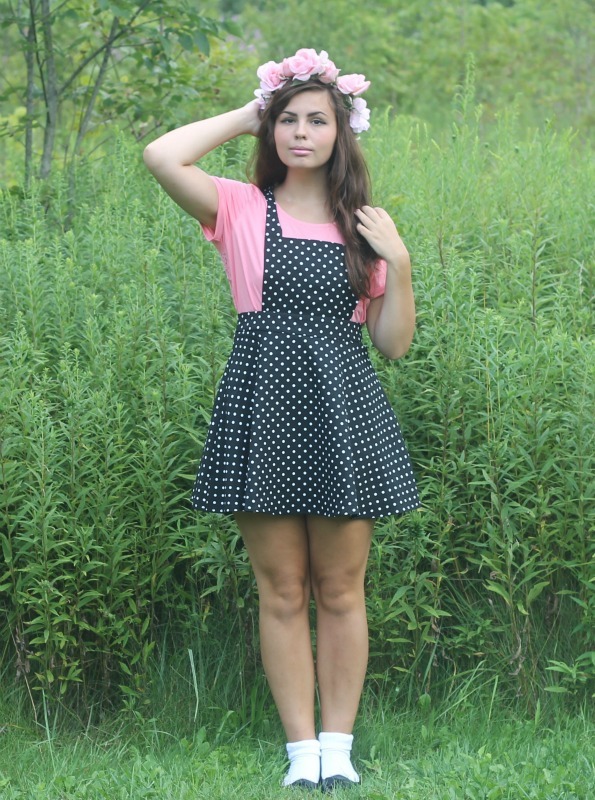 This pinafore is the cuuuuuuutest. One of my favorite outfits yet!! 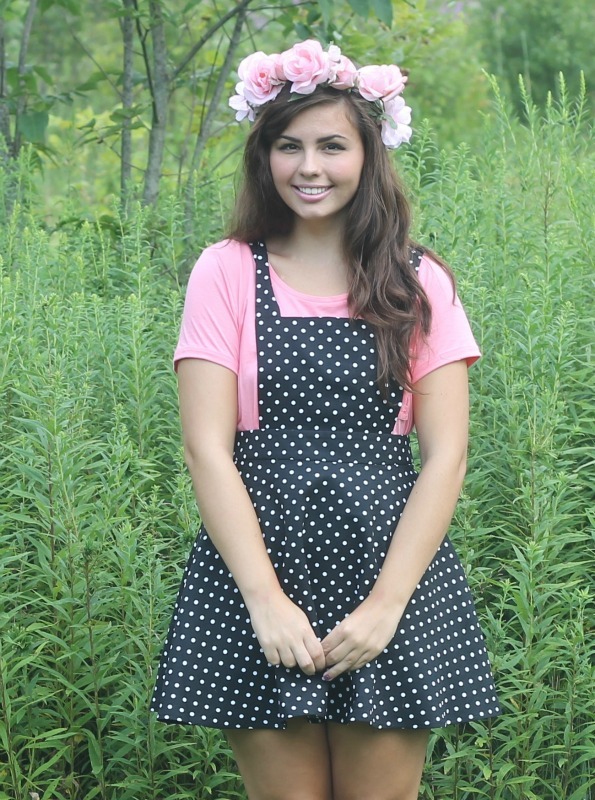 Wow, that pinafore is sooo cute! And it's so weird to think that school starts in two weeks :/ But, it'll be awesome to be in NAVS again! Aaaaack, just typed a comment and it had an error and lost it! Anyway, I totally know what you mean. So many summers I have felt the same. Even with my wedding day, two days ago, the day after, I felt really really gutted that I hadn't done so many things at my wedding, spoken to this person and worst, had more photos taken. My photographer got caught in traffic and then got lost between the church and the mansion (reception venue) and that was when she was supposed to do all our dreamy couple shots in the walled gardens and our family and group shots. She did a few later, but it had thrown the timing out by an hour and a half and we grabbed a few photos but she was dithering and I was really cross that she didn't seem to be assertive but couldn't seem to say anything, so we only got a few shots and not in any of the beautiful locations we wanted. I feel/felt really sad about it the day after the wedding and then we met a very wise vicar in the park yesterday when we went to go and clear up the clues from our treasure hunt- he said, it's not the photos that count, but the actual wedding and the ceremony, and that's true- I have to appreciate what we actually DID do, not regret what we didn't! Hugs from a newly married lady!